THOR 7 satellite now ready for commercial use. 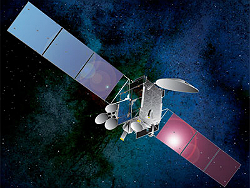 Oslo, Norway, June: Telenor Satellite Broadcasting (TSBc) has announced that THOR 7, which was successfully launched into geostationary transfer orbit on board an Ariane 5 launcher on April 26, 2015, has now completed its in-orbit testing and reached its final orbital location at 1°West. The THOR 7 satellite was officially handed over to TSBc’s satellite control centre at 5pm on June 16, 2015. With the handover complete, the THOR 7 Ku-band payload, dedicated to DTH services, is now ready for commercial operation. THOR 7’s Ku-band payload of 11 transponders will provide much-needed growth capacity for broadcast and TV services throughout Europe and specifically in Central and Eastern Europe. THOR 7’s location of 1°West is home to the THOR satellite fleet and is one of Europe’s prime satellite locations, reaching close to 18 million households. “With the Ku-band payload now in commercial service, TSBc looks forward to growing its European broadcast position,” said Morten Tengs, CEO, Telenor Satellite Broadcasting. “THOR 7 provides the expansion capacity required to satisfy today’s and tomorrow’s growing demands from both our customers and future customers interested in connecting to the 1°West neighbourhood”. The satellite’s high-throughput (HTS) Ka-band payload will now undergo a further testing phase of its ground infrastructure with test customers. The satellite communications multi-Gigabit HTS payload will address the surge in demand for high-bandwidth requirements from the maritime industry, delivering a bandwidth-efficient service with high bit rates to meet our customers’ growing expectations. The service is expected to be fully operational in Q4, 2015.